Everyone needs a good, fashionable watch right? 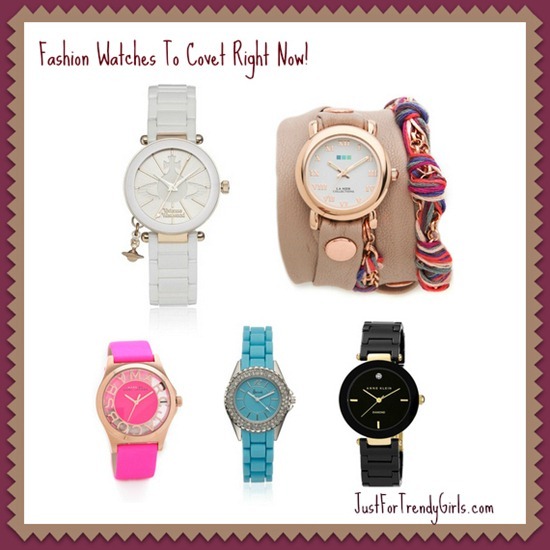 Here are 5 fashion watches to covet right now! Each comes from a reputable designer and store and the set provides a variety of looks and colors to suit just about any individual need or taste.